Discover God's gracious provision and faith-building promises. Discover God's gracious provision and faith-building promises. 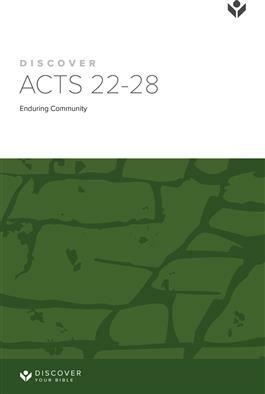 In these final chapters of Acts, Paul endures opposition from both religious and government authorities. Despite unjust beatings, threats, trials, imprisonment,and even a violent shipwreck, Paul remains faithful to his mission. Finally he reaches Rome, where he preaches the gospel in the seat of culture and power in that day.